My German Shepherd Rodney woke me up at the crack of dawn Sunday morning. He was standing at the window barking. Apparently a deer had wandered into our yard and because the windows were open, Rodney had heard it. But I didn’t mind the early morning wake up call. There is something absolutely wonderful about sleeping with open windows and waking up to breezes blowing and birds singing. It always makes me smile. Posted on April 14, 2014, in My life, perspective and tagged 365 reasons to smile, Dogs, happiness, life, nature, small pleasures, smiles, spring, Thoughts. Bookmark the permalink. 22 Comments. 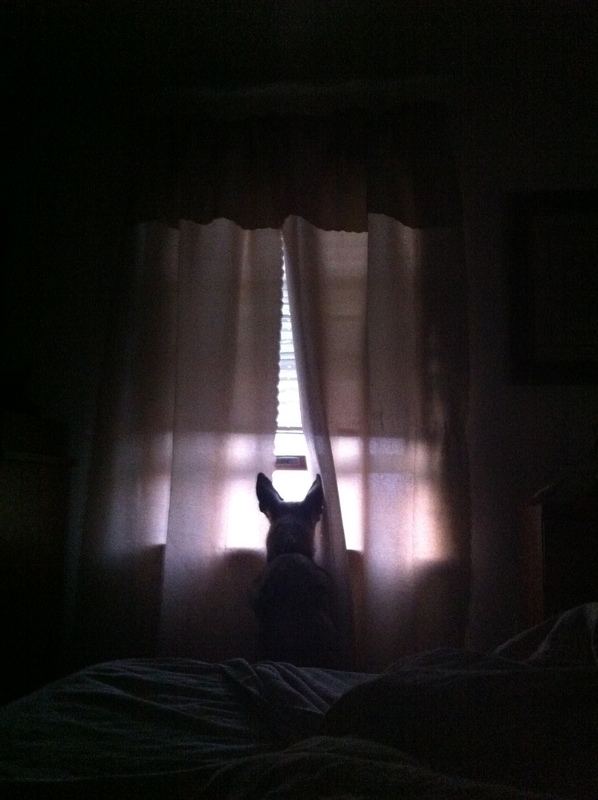 Waking up with a German Shepherd on a fine spring morning… that would make me smile too!